Pero Salva, one of Yuvacalı’s homestay hosts. After night has fallen, the sacred fish ponds of Sanlıurfa are smooth black mirrors reflecting the backlit Ottoman arches of Rızvaniye Mosque. The effect is only distorted by the occasional ripple trembling across the surface as one of the fat, silky carps that inhabit the pond patrol the depths below. During the day, these pampered pets of the city gorge themselves on offerings from visiting pilgrims. Their wide, ugly mouths rise to the edge of the pool, in a wrestling match of belly- flopping bodies, as an all-you-can-eat buffet of fish pellets rains down into the water. To believers, the carp here aren’t any old fish. These are the lumps of coal from the funeral pyre of King Nimrod, built in an attempt to kill the Prophet Abraham. Miraculously transformed by God into fish, as the fire was turned into water, they spend their lives as divine beasts revered by all. Turkey’s southeast Anatolia region is a place alive with sacred myth and legend and the ancient city of Sanlıurfa is the birthplace of monotheism’s most important story. Traditionally known as the biblical town of Ur (a title also contended by the Tell al-Muqayyar ruins in Iraq), this is where many Jews, Christians and Muslims believe that the Prophet Abraham was born and where he struck the first blow for monotheism’s future by challenging the pagan beliefs of King Nimrod and his subjects. South- east Anatolia’s raw landscapes of rolling hills and stark plateau are a hiking paradise. Earlier on the day of my visit, Ömer Tanık explained how the city’s reverence among pilgrims had, over the years, fostered an ingrained philosophy of hospitality among the locals here. “We didn’t look at the people who came here as paying guests,” he said. 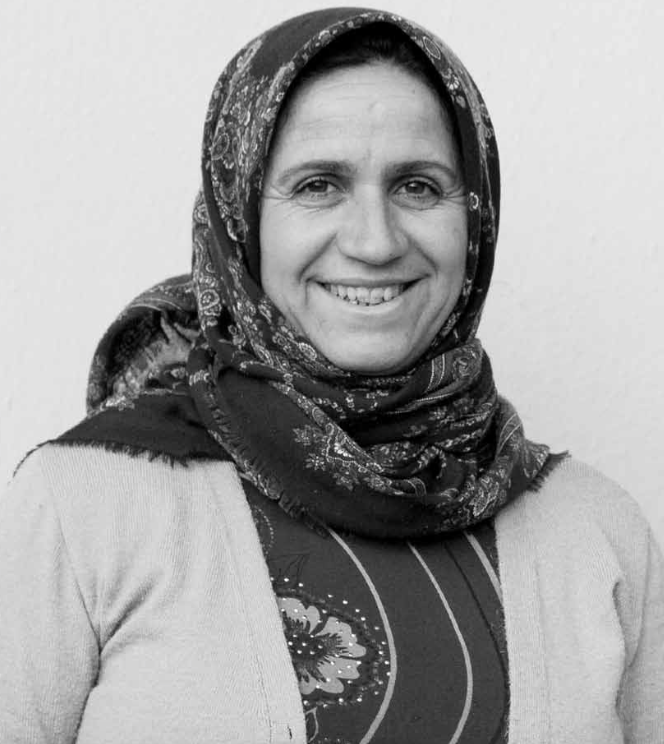 “Before there were hotels in Sanlıurfa, people would approach visitors at the fish ponds to come stay in their houses for the night.” Today the spirit of this hospitality lives on in the surrounding hinterland. Yuvacalı’s settlement mound protrudes prominently out of the flat, surrounding countryside. 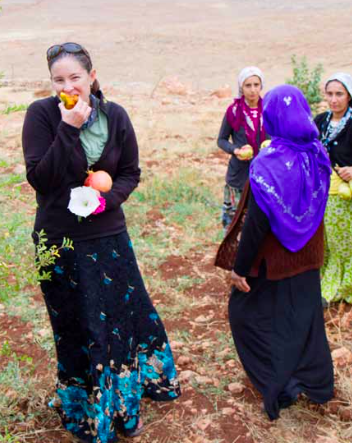 In 2009 Ömer and Alison pioneered a tourism endeavour here which offers travellers an experience of rural Anatolian life in village homestay accommodation. The initial experiment began in Ömer’s birthplace, Yuvacalı, but has now spread to other villages in the area. 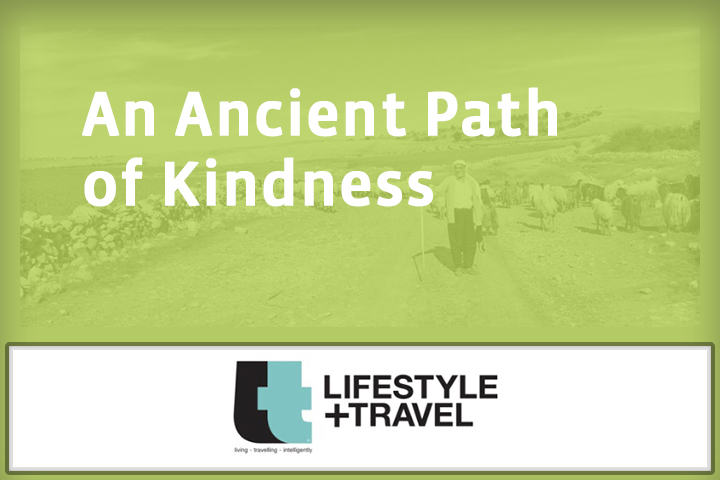 In 2011 the Tanıks joined up with the Abraham Path Initiative to create a trekking route through southeast Anatolia connected by these homestays. Encompassing the ancient villages of this region, this trail is a journey into a corner of Turkey long ignored by tourism. It is also a glimpse into a culture of natural hospitality which is rarely seen in modern-day life. Yuvacalı smells of freshly ploughed earth and livestock. Its squat one-storey buildings are a mix of recent concrete box additions and much older mud-brick dwellings with walls that slouch and sag into the land. Pero Salva’s front yard was a hive of activity as we pulled up. Chickens perched on the crooked wooden fence heralded our noisy arrival. Sheep bleated somewhere nearby. I was ushered inside to the reception room where the walls were painted the same cheery lilac colour that many Kurds have adopted as a uniform shade for their headscarves. Pero’s husband Halil poured strong tea into tiny tulip- shaped glasses as we sat on the floor. For village children, tourists here are still a rare sight and visitors are greeted with excitement and curiosity. 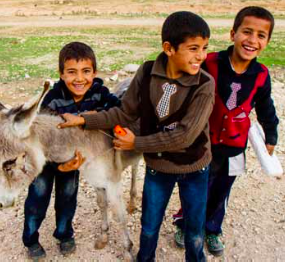 Typical of many of the Kurdish settlements in this area, Yuvacalı’s villagers survive mostly on subsistence farming. When Alison and Ömer first moved here from Istanbul, they did a door-to-door poll of villagers to find out what the major problems were and how they could help. “Among adults here there is 50% illiteracy,” Alison told me, “and only half are fluent in Turkish. Their native Kurdish dialects are the language spoken at home.” This of course has a knock-on effect with the younger generation, who then don’t learn Turkish until they enter the school system and are, by then, struggling to catch up with their peers. Ömer Tanık walking along the Abraham Path. The hiking route utilises the shepherding and farming trails that local villages have used for centuries. They discovered that in every single village household the income was under USD1 per day, per person. Tourism could help to combat this poverty chain. “The two homestays in the village provide employment for eight families,” Alison said. In a place as rural and conservative as Yuvacalı, though, bringing tourism into the mix can be a difficult balance to get right. “We don’t want to destroy the fabric of the village,” she said. Kurdish culture is conservative but not particularly because of Islam. Their values stem from living in close proximity to each other. “It comes from lots and lots of people occupying a very small space, trying to get on and being respectful of that fact.” She explained. Guests at the homestays are expected to be modestly dressed. Women visitors must wear an ankle-length skirt, men must wear long trousers; alcohol is not allowed. 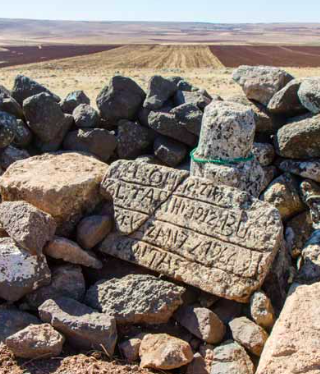 Reminders of this region’s history as an important crossroads of empires lay scattered across the landscape, such as these rocks carved with ancient script. Kurds make up the largest minority in Turkey, numbering about 14 million, and live mainly in the southeast of the country. It was only after the regional upheavals of the early 20th century that Yuvacalı became a solely Kurdish village. Before then local oral history tells of a vibrant community of Kurds, Armenians, and Jews all living here together. The settlement mound points back to an even earlier history. Today Yuvacalı may seem like a remote, inconsequential outpost, but in the empire-building days of earlier civilisations it was positioned directly on an important crossroads. This entire region of southeast Anatolia was the crux of territorial conflicts and commerce, between Hittites, Assyrians, Achaemenid Persians and Seleucid Greeks, Romans and Sassanians, and, later on, Byzantines, Arab conquerors, Crusaders, and Ottomans. Yuvacalı’s settlement mound is thought to be at least 10,000 years old. 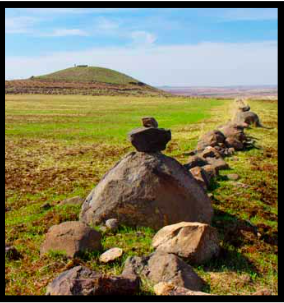 Although the mound has never been excavated, surface finds of cuneiform tablets, pieces of flint and mosaic have indicated to visiting archaeologists that the mound here dates back to at least the 8th millennium BC. It is entirely plausible that it could be a lot older. Ömer drove me out to the village of Sogmatar, which sits in a dip between two hills. The houses were half built from stone taken from ancient shrines and sprouted satellite dishes out of flat metal roofs held down by pieces of brick. We scrambled up the flank of one of the hills just as the sun burst down upon the landscape silhouetting a shepherd on horseback upon the opposite hill, surrounded by his flock. The rock surface of the peak was covered in elaborate Assyrian script. A local shepherd and his flock create an Anatolian version of a traffic- jam. 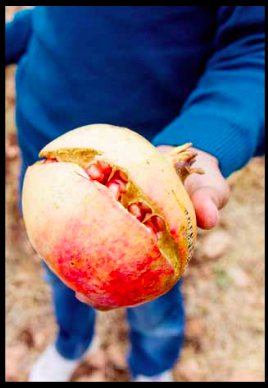 Enjoying local produce from the orchard. We hiked over to the opposite peak where a half collapsed circular temple dedicated to Venus was a reminder of the religion of celestial worship common in the area before the Prophet Abraham. Today Sogmatar is made up mostly of Arab nomads who settled here in the 1980s, but it was once an important centre of cult sacrifice, where every moment of life was directed by the movements in the sky. Although an official tourist signpost at the entrance to the village briefly explains Sogmatar’s significance, this ancient site, like most in this region, is half-forgotten and completely bypassed by mainstream tourism. A donkey tethered to a tree kept up a constant mournful braying. A dank, musty cave on the edge of the settlement still hosted the clear outlines of life-sized idols in eroded niches, which had been abandoned as monotheism crept over the land. This hike formed a small section of the new Turkish Abraham Path which, when walked fully, is a 170km, 10-day trek through the region. 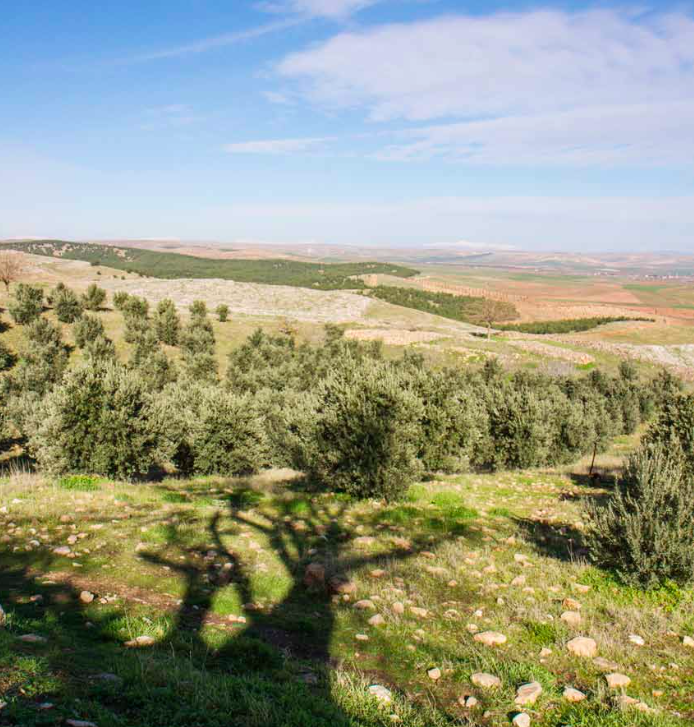 The Abraham Path itself is a bold attempt to connect a series of walking trails throughout the Middle East that trace the journey of the Prophet Abraham from Turkey, south to Israel and the Palestinian Territories. But this trek is not supposed to simply be a religious pilgrimage. It’s also a journey into our beginnings. In human history, this part of modern-day Turkey is not only the birthplace of monotheism but also the ground where we took our first shaky toddler steps to civilisation. Locked between the Euphrates and Tigris Rivers, this stretch of land makes up the northwest region of ancient Mesopotamia. It was across this countryside that mankind first discarded the hunter-gatherer lifestyle for settlement. 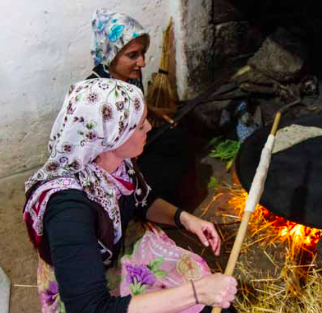 Learning how to make lava (Turkish flatbread) over a traditional sac oven at the homestay. The conversion of belief systems from a sky-worshipping culture to faith in one god was a slow process that is said to have begun with Abraham on his journey from Ur. 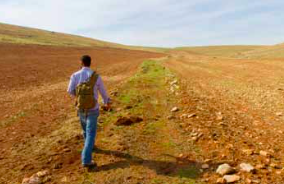 Instead of attempting to exactly mirror a journey, about which both believers and non-believers could spend forever debating reality, today’s Abraham Path instead attempts to forge a trail highlighting the different stages of our common humanity. “It’s not a political path. It’s not a religious path. It’s a cultural path, fundamentally a human path.” William Ury, one of the founders of the Abraham Path, told me. 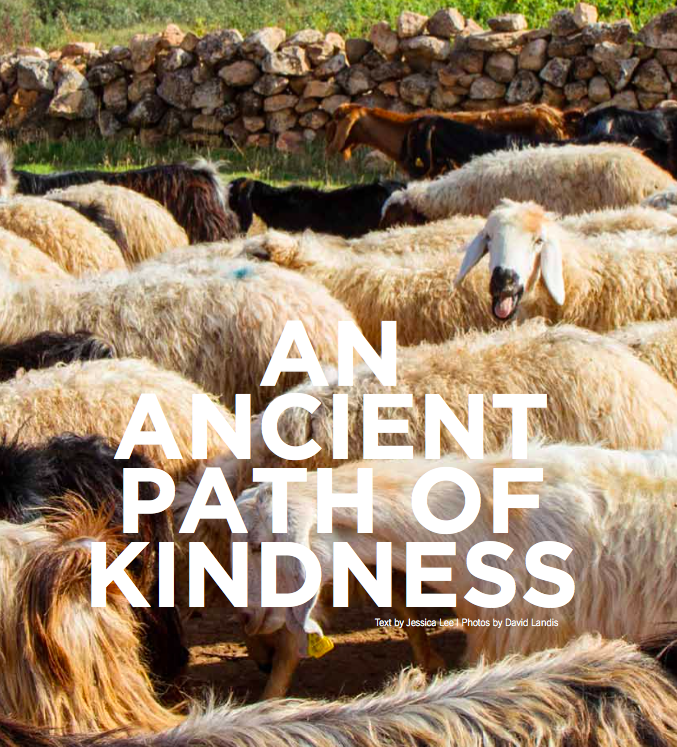 Passing through ancient, half-forgotten temple sites and worship centres such as Sogmatar offers walkers a chance to connect not only with modern-day village life, but also with the greater history of our own joint humanity. Back in Yuvacalı, Pero rolled a long plastic tablecloth across the floor and all the family pitched in to begin bringing dishes out of the kitchen. Creamy lentil soup, bright salads of ruby tomatoes and crispy lettuce, smoky sliced aubergines charred to melt-in-your-mouth perfection, trays of thick, comforting home-cut chips, tiny bowls of tarty cacık (Turkish yoghurt and cucumber salad) and an ominous looking red ısot spread (the Urfa region’s famous hot pepper) all appeared in front of me. It’s a belief that has its roots in a nomadic past when hospitality was an essential component of survival. It was with this very hospitality that the journey of Abraham as told in the holy books of Judaism, Christianity, and Islam was able to be accomplished. In the West Abraham is remembered chiefly for the Old Testament story of his willingness to sacrifice his son Isaac as a test of his loyalty to his god (in Islam, the child in the story is Ishmael) and this earlier story of generosity has faded from general knowledge. No Replies to "An Ancient Path of Kindness"